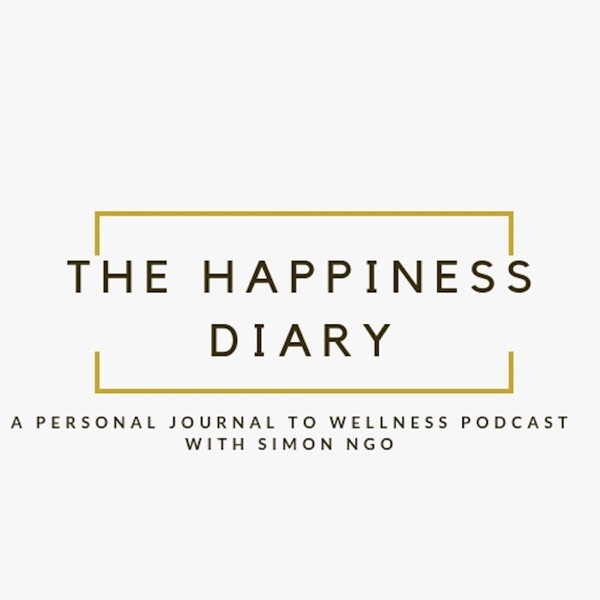 The Happiness Diary - A personal journal to wellness podcast with Simon Ngo | Listen Free on Castbox. Copyright © 2018 Simon Ngo (Living Simply Simon). All rights reserved. As a wellness and lifestyle coach, Simon Ngo is passionate about helping people make a positive impact in their lives so they can in turn help other people enhance their lives. This is a podcast show about finding more sustainable wellness in our lives. Each episode will showcase some millennial wisdom on how to inject more wellness and happiness in our daily lives using simple tips, tricks and mindset shifts. Simon's no-nonsense approach also features "Meaningful Conversations" with everyday individuals who have mastered their own art to happiness and wellness. This episode, I confessed that I have been watching the reality TV show that highly controversial and how the show has actually allowed me to observe human behaviours and interactions on a deeper level. I also spoke about how lucky I am right now to be exactly where I am today. And find out, what I have also learned about myself and how to improve myself to be the best version of myself. Hit me up on Instagram @simonngo.wellness to share your comments and questions. Don't forget to subscribe and leave a 5-star review! The re-launch of the The Happy Hour Podcast to The Happiness Diary! Hear about what I have been up to whilst I have been MIA and why the podcast has been rebranded.Each episode, I share the one thing I'm most grateful/happy for in my life and the one lesson I can learn upon self-reflection and self-awareness. New Year Resolutions - Yay or Nay? Season 2 is here after taking little hiatus for myself! So here it is a little snippet of what to expect in season 2 and also the first listen at the weekly wrap segment released on Fridays! Season 2! The Weekly Wrap! Part 2 to Episode 7 - Understanding Stress (Part 1): Stress and Sleep.In this episode, we speak about stress and movements (or exercise).As our body doesn't really differentiate between good and bad stress, we have to be careful to not overexercise. Truth though, most people aren't active enough!I share my five top tips to get more movement in our lives!1. I talk about how I pencil it in the diary and commit to this appointment. The easiest way to make it happen.2. I share my strategies for creating incidental movements throughout the day.3. We use technology to our advantage by holding ourselves accountable to step counts and be a little competitive about it.4. We check the ego at the door to take baby steps as every small step forward is progress rather than failing.5. We take the no excuse approach to simply find something we like and enjoy!And, please subscribe and rate to help this podcast grow! DM me on Insta @simonngo.wellness to let me know your thoughts.